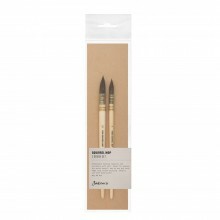 Jackson's Shiro Hog Bristle Round Brush is excellent quality and great for closer details. 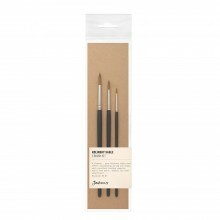 Hog brushes are one of the most widely-used brushes for oil painting. While lower cost bristle brushes are boiled to straighten hairs and then bleached to uniform the colour, Shiro brushes do not undergo boiling and have only minimal bleaching in order to prolong the lifespan of the brush and maintain the strength of the hair. This also means that they retain natural curve and cuticle, which is essential for achieving the very best shape and spring. 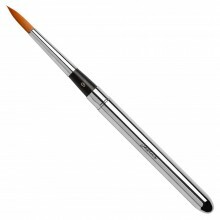 As with all natural materials, care must be taken to ensure brush life is optimised, so please remember to always wash brushes in lukewarm water and to store with the brush head away from other surfaces in an airy and shaded environment.